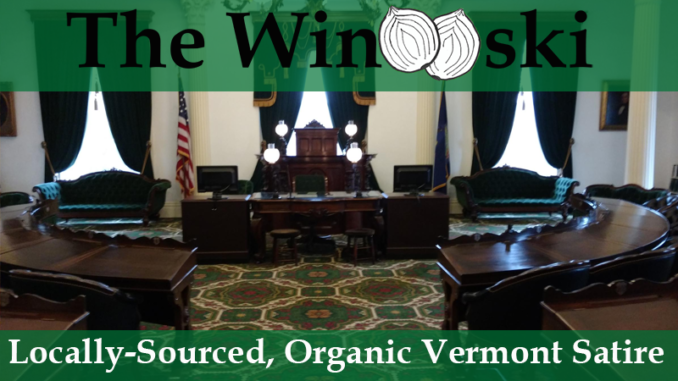 MONTPELIER – The Vermont Senate will vote on a constitutional amendment that will explicitly prohibit the murdering of other humans. The amendment cleared committee this week with unanimous approval. This proposed change to the state’s constitution comes right on the heels of another proposed amendment that would change the existing language around slavery. The current constitutional language does prohibit slavery, but includes language that could be interpreted as allowing slaves that are under the age of 21. Some, especially Vermont’s African-American community, have argued that this new amendment is necessary to ensure support and freedom for all citizens, while others, especially white residents claiming to be “extra woke,” continue to suggest that it is an unnecessary change. The newest amendment against murder was introduced by Sen. Olive Smatter of Franklin County, who claims it has nothing to do with the amendment on slavery. Instead she insists that without a specific prohibition on murder in the constitution, laws could be changed in the future that would allow someone to take her life without her consent.